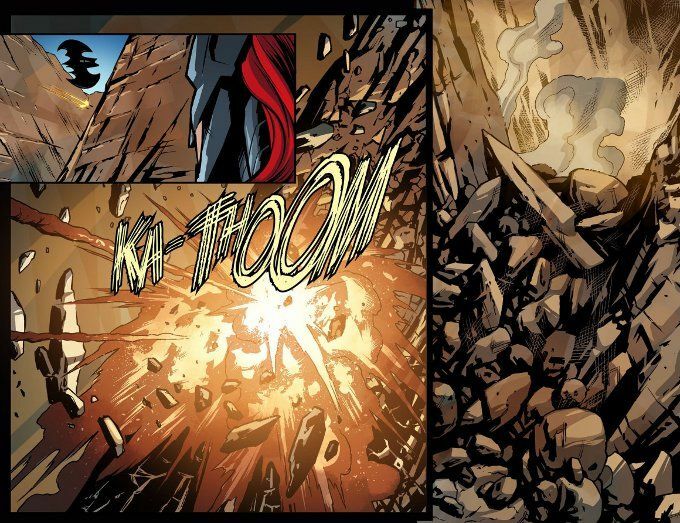 One of the more gratifying aspects of this series under Brian Buccellato's pen has been his willingness to shift the point-of-view away from the major players of the conflict between Superman and Batman. 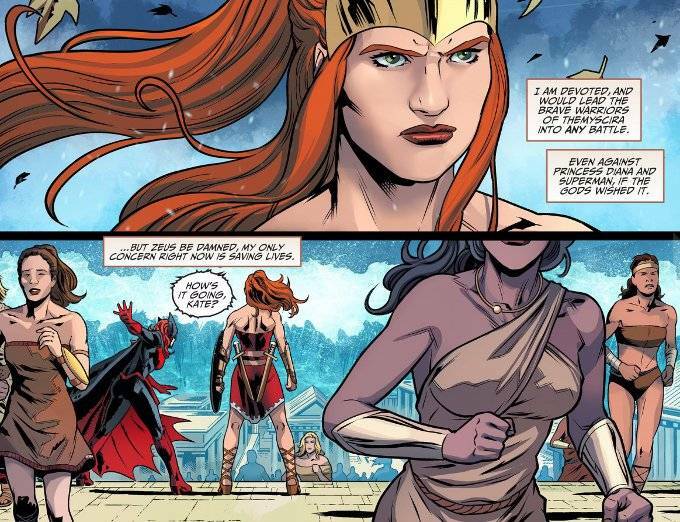 In this case, we get a wonderful scene of Artemis - the Amazon who briefly replaced Diana as Wonder Woman - reflecting on the battle around her and her responsibilities to her people. It is a brief moment but it is simultaneously powerful and grounding, putting the battle in perspective. The artwork by Bruno Redondo and Juan Albarran remains as glorious as ever. The action is well-played as Redondo is given a rare chance to show off his skills in pacing a story solo. This issue features a larger number of pages with no dialogue than usual and Redondo does a fine job of letting the art tell the story.